Iranian media reported Friday the country was getting ready to invest in new Jamaran-type frigates. The Iranian Navy launched the first of its Mowj-class frigates in February of last year. It was the first domestically produced surface combatant of its kind and a second is well along in production at Bandar Abbas, according to Jane’s. The ship is fairly well outfitted: 1,500 ton displacement with six Mk 32 torpedoes and launchers for four C-802 anti-ship and SM-1 anti-air missiles. But let’s not get carried away here, this is a trinket of a ship relative to the 9,700-ton CG 47s. Which brings up an interesting question as to why Iran is spending money on these surface combatants that would seem to be little more than a nuisance to American warships. It would seem the safe money would be in diesel-electric boats. Something to keep an eye on. 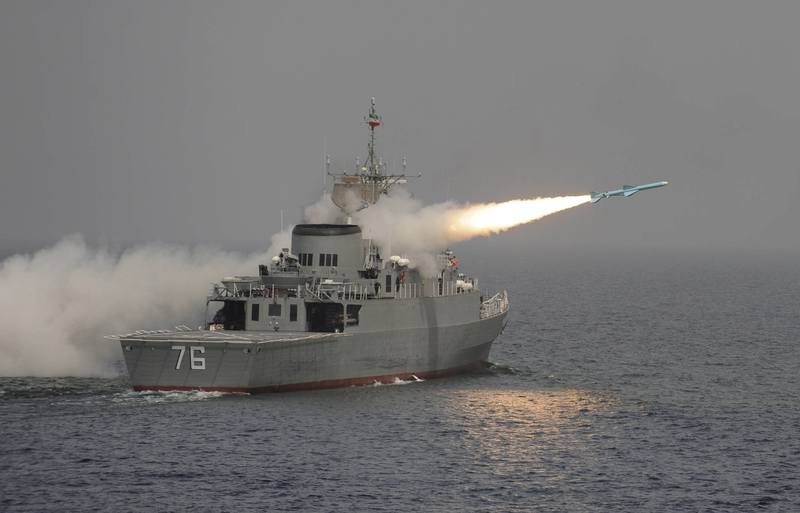 Should the Navy be concerned with an expanding Iranian surface fleet? They know they’d have the first shot. If I were them, I’d put 60 of those Noor missiles on a floating platform and call it a cruiser. If the 1,500 ton ship fires first, the 9,700 ton ship sinks first. This frigate would be more than a nuisance to the LCS -which I’d think would be the ship it would more likely encounter in the littorals. I’d wager that with C-802, a Mowj-class could easily sink several Little Crappy Ships. We should have learned by now that it’s not the size of the dog in the fight, but the amount of fight in the dog, that matters. If these scows are crewed by dedicated, fundamentalist jihadists Teheran won’t care whether they are too small to survive a fight. They’ll shoot first, do their damage, and accept a quick relocation to Paradise. The arena is a relatively small enclosed area. A dozen small ships with 4 missiles apiece…that’s 48 incoming at the same time. They will fire first. You have limited intercept time, limited missile-directors, and a limited weapons load. Some will get through. A carrier doesn’t need to be sunk, just stop flight ops. Mission kill is all they need, and the CG group loses it’s air cover. A follow-up strike will take care of the rest. It’s called asymetric warfare and will work under the proper conditions.